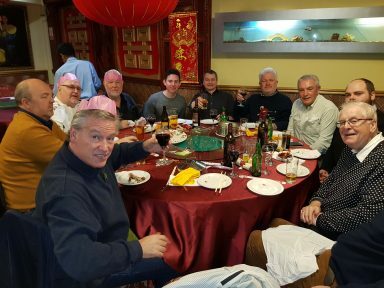 On Friday 16 September 10 brethren from Proscenium Lodge and 1 each from Dan y Coed and South Wales Jurists, met at Cardiff General Station to travel to London to visit the Chelsea Lodge who were meeting that afternoon at Great Queen Street. After checking in at their hotel in Holborn, they enjoyed a light lunch before dressing for the ceremony and making the short walk to ‘HQ’. The lodge was opened at 3pm and the brethren witnessed a magnificent initiation ceremony, precise in every detail, with all the officers well rehearsed and the organist timing his notes perfectly at the first perambulation to the warden’s desks. There were parts of the proceedings that no one had seen or heard before, with detailed explanations of the ceremony given to a very confidant candidate. 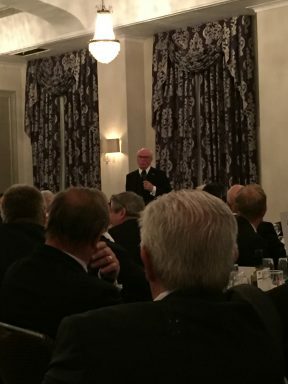 The Festive Board followed in the Connaught Rooms and proceeded the infamous “Chelsea Cabaret”. A wonderful time was had by all and moves are afoot to make this an annual event. 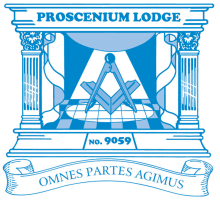 I am pleased to tell you that Proscenium Lodge is amongst the highest donators to the 2021 festival fund. The brethren of Proscenium should be proud of our efforts as our current amount as of June 2016 totals £72,200 with 5 years to go – one of the highest. As a result, the Lodge was presented with a Gold Award for its efforts at the Provincial Grand Lodge meeting in the Memorial Hall, Barry.